09/26/2016 -  GEORGIA SWARM: have traded the 38th overall selection in the 2016 Entry Draft to the New England Black Wolves in exchange for their fourth round pick in the 2018 NLL Entry Draft. 09/26/2016 -  GEORGIA SWARM: have traded the 35th overall selection in the 2016 Entry Draft to the Colorado Mammoth in exchange for the 38th overall selection in the 2016 Entry Draft and their 5th Round Selection in the 2017 NLL Entry Draft. 09/26/2016 -  BUFFALO BANDITS: have traded the 16th overall selection in the 2016 Entry Draft to the Rochester Knighthawks in exchange for Brad Self. 09/26/2016 -  NEW ENGLAND BLACK WOLVES: have traded the 14th overall selection in the 2016 Entry Draft to the Saskatchewan Rush in exchange for 19th overall pick in the 2016 Entry Draft and second round selection in the 2017 NLL Entry Draft. 09/19/2016 -  COLORADO MAMMOTH: have traded Adam Jones and their second round selection in the 2017 Entry Draft to the Saskatchewan Rush in exchange for Zack Greer and the 9th overall selection in the 2016 Entry Draft. 09/16/2016 -  NEW ENGLAND BLACK WOLVES: have traded Jordan Hall and a second round selection in the 2019 Entry Draft to the Georgia Swarm in exchange for the 8th, 14th and 24th overall selections in the 2016 Entry Draft and a first round selection (compensatory) in the 2017 Entry Draft. 08/13/2016 -  NEW ENGLAND BLACK WOLVES: have traded Andrew Suitor to the Rochester Knighthawks in exchange for Derek Searle, the 29th overall selection (third round) in the 2016 Entry Draft and their second round pick in the 2019 NLL Draft. 07/22/2016 -  BUFFALO BANDITS: will receive a third-round selection (31st overall) in the 2016 NLL Draft after losing defenseman Derek Suddons to the New England Black Wolves. 07/22/2016 -  CALGARY ROUGHNECKS: will receive a second-round selection (21st overall) in the 2016 NLL Draft for losing defenseman Jeff Moleski, who signed with the Vancouver Stealth. 07/22/2016 -  GEORGIA SWARM: will receive a second-round selection (20th overall) in 2016 NLL Draft after defenseman Greg Downing signed with the Colorado Mammoth. 07/22/2016 -  GEORGIA SWARM: will receive a first-round selection (10th overall) in the 2016 NLL Draft and one selection at the conclusion of the first round of the 2017 NLL Draft for losing forward Callum Crawford, who signed with the Colorado Mammoth. 07/01/2016 -  NEW ENGLAND BLACK WOLVES: have traded Paul Rabil to the Toronto Rock in exchange for the 33rd overall selection (fourth round) in the 2016 Entry Draft. 03/29/2016 -  BUFFALO BANDITS: have traded Jerome Thompson to the Georgia Swarm in exchange for their sixth round selection in the 2016 Entry Draft. 03/29/2016 -  GEORGIA SWARM: have traded Joe Maracle and Josh Gillam to the Rochester Knighthawks in exchange for their third round selection in the 2016 Entry Draft (the higher of Rochester's own pick and the one originally belonging to the Buffalo Bandits) and their second round selection in the 2018 Entry Draft. 10/10/2015 -  TORONTO ROCK: have traded Kevin Crowley to the New England Black Wolves in exchange for Dan Lintner and a second round pick in the 2016 NLL Entry Draft (the higher of New England's own pick and the one originally belonging to the Toronto Rock). 09/24/2015 -  SASKATCHEWAN RUSH: have traded their 9th & 14th picks in the 2015 NLL Entry Draft to the Rochester Knighthawks for their first round picks in 2016 NLL Entry Draft & 2018 NLL Entry Draft. 07/21/2015 - The EDMONTON RUSH became the SASKATCHEWAN RUSH. 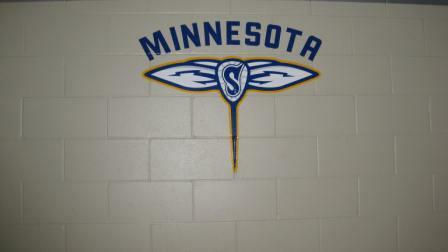 05/29/2015 - The MINNESOTA SWARM became the GEORGIA SWARM. 03/31/2015 -  MINNESOTA SWARM: have traded Cam Flint to the Colorado Mammoth in exchange for their second round and third round selections in the 2016 Entry Draft. 03/31/2015 -  BUFFALO BANDITS: have traded Joe Resetarits and their third round selection in the 2016 Entry Draft to the Rochester Knighthawks in exchange for Jamie Batson, their second round selection in the 2016 Entry Draft and their second round selection in the 2017 Entry Draft. 03/25/2015 -  BUFFALO BANDITS: have traded Drew Petkoff and fourth round pick in the 2015 NLL Entry Draft to the New England Black Wolves for a second round pick in the 2016 NLL Entry Draft (the lower of New England's own pick and the one originally belonging to the Toronto Rock). 03/13/2015 -  COLORADO MAMMOTH: have traded their third round pick in the 2015 NLL Entry Draft and first round picks in 2016 NLL Entry Draft & 2017 NLL Entry Draft to the Rochester Knighthawks for Jason Noble and their third round pick in 2017 NLL Entry Draft. 01/19/2015 -  EDMONTON RUSH: have traded Corey Small to the Vancouver Stealth in exchange for their first round selection in the 2016 Entry Draft and their first round selection in the 2019 Entry Draft. 09/22/2014 -  NEW ENGLAND BLACKWOLVES: trade 49th pick in the 2014 NLL Entry Draft to the Buffalo Bandits for their 6th round pick in the 2016 NLL Entry Draft. 09/22/2014 -  New England Black Wolves receive the 6th, 8th, 26th, & 27th overall picks in 2014 from the Calgary Roughnecks in exchange for a 2015 1st round pick (originally from Rochester) and a 2016 3rd round selection. 09/19/2014 - The CONNECTICUT team formerly the PHILADELPHIA WINGS are to be known as the NEW ENGLAND BLACK WOLVES. 08/28/2014 -  CONNECTICUT: have traded Brodie Merrill and their second round selection in the 2015 Entry Draft to the Toronto Rock in exchange for Craig England, Mike Burke, their second round selection (17th) in the 2014 Entry Draft, their first round selection in the 2015 Entry Draft, and their second round selection in the 2016 Entry Draft. 08/13/2014 -  MINNESOTA SWARM: have traded Tyler Hass and Dane Stevens to the Vancouver Stealth for Mike Grimes and their third round pick in the 2016 NLL Entry Draft. 08/06/2014 - The PHILADELPHIA WINGS became the CONNECTICUT ?????. 07/15/2013 -  MINNESOTA SWARM: have traded Ryan Benesch and Andrew Watt to the Buffalo Bandits in exchange for their first round selection in the 2015 Entry Draft, first round selection in the 2016 Entry Draft, and third round selection in the 2017 Entry Draft. 12/14/2012 -  ROCHESTER KNIGHTHAWKS: have traded Paul Rabil, Jordan Hall, Joel White, Rob Campbell and their second round selection in the 2014 Entry Draft to the Philadelphia Wings in exchange for Dan Dawson, Paul Dawson and their first round selection in the 2016 Entry Draft.